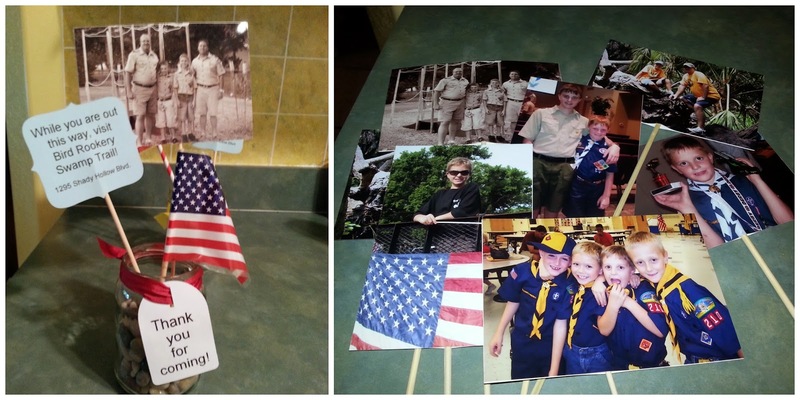 Spring break was spent filling out his Eagle Scout project proposal. It was a lot of work, many revisions. We cheered right along with him when it was approved so quickly- the work he put in up front had paid off. This weekend, we walked beside him as he took another step... a pancake breakfast fundraiser. Cam followed all of the steps to get the breakfast approved, made lists of what we needed, and even went out and asked for donations. He persevered, and finally someone told him yes, and handed him a $30 gift card... and my sister earned a great big hug for getting a donation from someone she knows. We did our last shopping Thursday night, and coached him through his final plan for Saturday morning. When Saturday morning came, I could tell he was finally nervous. 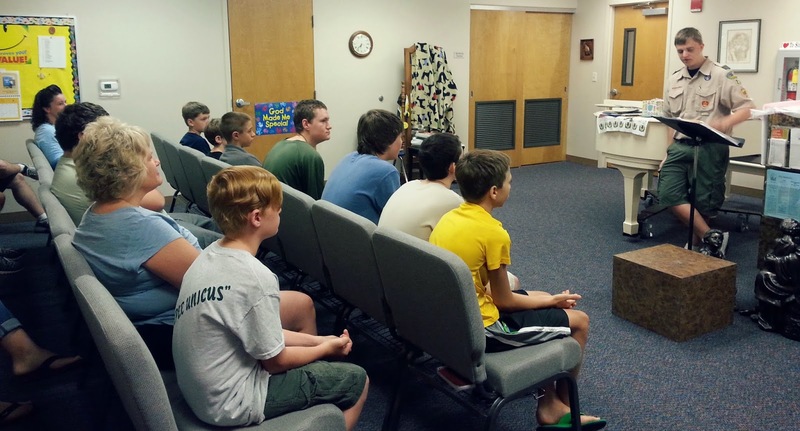 After taking a moment to pray, and take a deep breath, he looked a little more confident. And when he stood up in front of all of his volunteers and started directing, he amazed me. 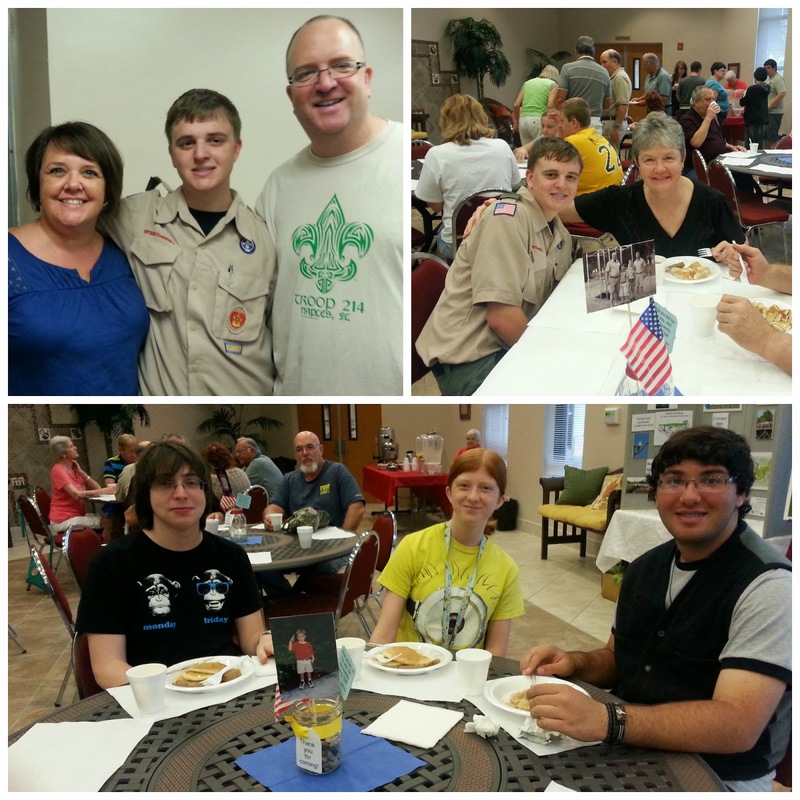 Pancakes were flipped and enjoyed by family, friends, and scouts from all over the county. Camden shook hands, thanked people for coming, and took time to talk to people about his upcoming project. He offered more juice, bussed a few plates, and directed his volunteers all at once. And when it was done, and his scout-mates finally sat down to eat their pancakes, he started the cycle all over again. All on his own, he made sure he was the last to eat. Soon he'll start making progress on his actual project... and we are beyond excited to see how it all plays out! This made me teary, from the photos to the words. What an amazing young man you have raised! I know you give God the glory for all Cam has accomplished in his life and that makes it even better. Hugs. I love, love, love this post. I know you are so proud of him. You have reared a fine son!! It was a great event and he did a fabulous job!!! He is on his way to greatness; and I love being able to witness it!